Wash & Maintain your bike! Keep you ride clean for the next tour! Best way to clean your bike! 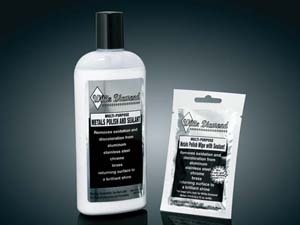 MP-35: Oxidization & discoloration is easily & quickly removed from aluminum, stainless, chrome, & brass while returning the surface to a brilliant shine. Also effective on minor gold & blue discoloration on chrome & stainless exhaust pipes. Besides containing an ultra fine polishing rouge, White Diamond contains a wax agent that will keep surfaces gleaming far longer than competing brands. 12 oz. 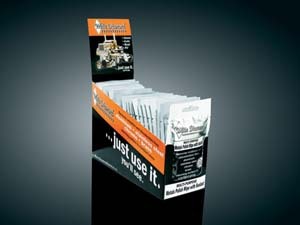 MP-30: New single use wipes come packaged in a 24 count box. One wipe will polish an entire motorcycle. Great for road trips! 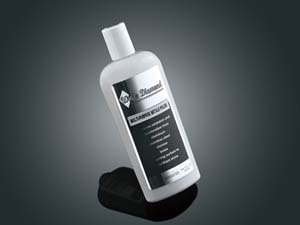 Advanced motorcycle cleaner removed dirt, grease and road grit. Will not harm finish. Simple spray on, hose off. 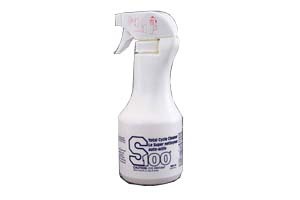 S100-00: S100 Cleaner with Sprayer. 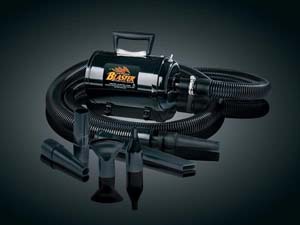 A spray on/hose off system that cuts through grease and grime quickly. For all plastic, plated and painted surfaces; wont strip wax. Comes with the sprayer nozzle. 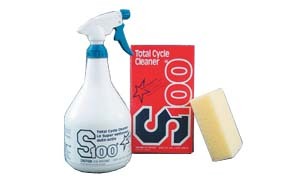 S100-04: S100-1/2 Liter Starter Size Cleaner. A spray on/hose off system that cuts through grease and grime quickly. For all plastic, plated and painted surfaces; wont strip wax. 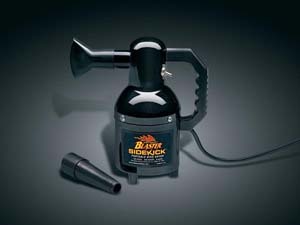 1/2 liter starter size Comes with the sprayer nozzle. 900: Its 4 peak H.P. motor & 2-stage dual fan provides a super high velocity, mildly heated air column that cuts drying time by approximately 75%. A variety of interchangeable tips included. 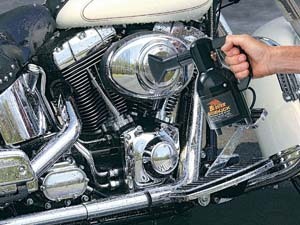 905: A compact, powerful hand held motorcycle dryer that’s small enough to put in a saddlebag yet strong enough to dry a bike off in minutes! At just over 3 pounds, the all steel Sidekick’s 1.3 H.P. 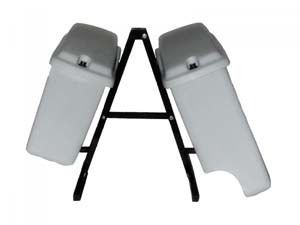 motor produces a large volume of warm filtered air & is great at home or on the road. 905-I: Similar to above for 220/240V for international market. 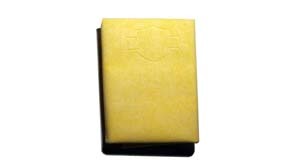 SDT-91: Made of synthetic material that is safe for use on all surface finishes. Ensures extra absorbency without streaking. Stays soft and supple even when dry. Durable, mildew-resistant and machine washable. 12" x 21" towel.